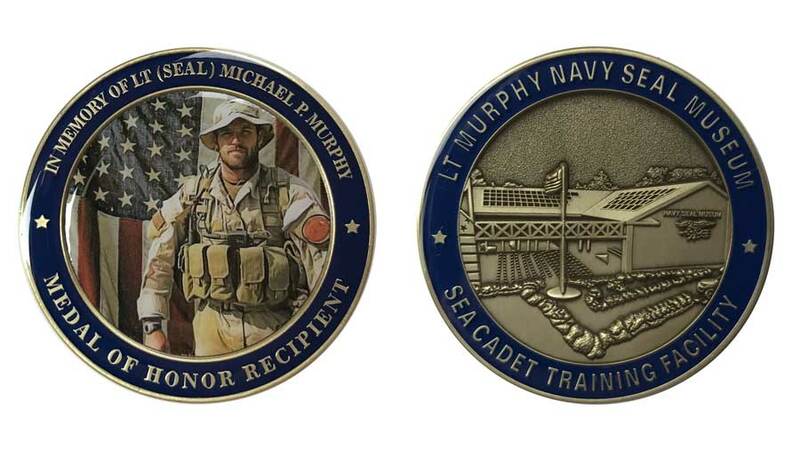 By making a donation to the LT Michael P Murphy Navy SEAL Museum you will receive this limited edition challenge coin, commemorating the museum. Your donation goes directly into funding the museum and in return you get a piece of history. Front: Iconic representation of LT Michael P Murphy. Medal of Honor recipient who is the namesake of our museum. Back: Rendering of the museum being built in Sayville, NY.